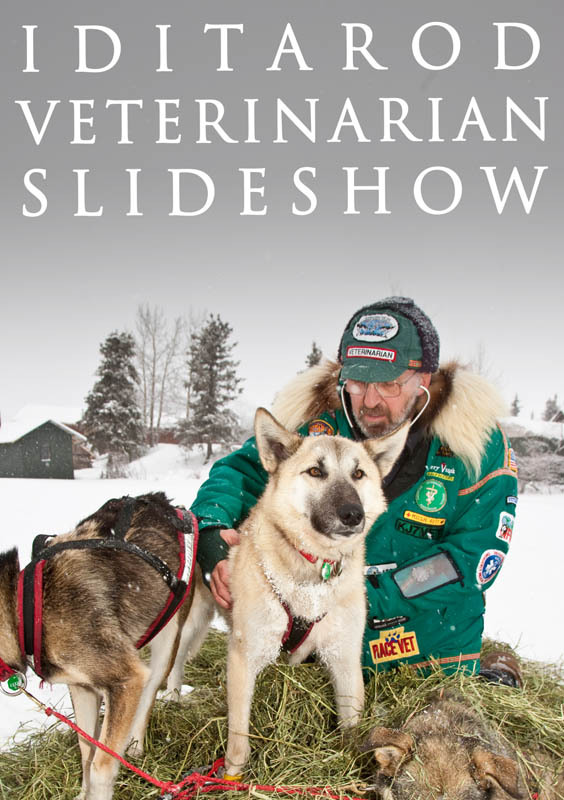 Jeff has created two Iditarod educational talk-through slide shows. The shows are available as a digital download in full-screen resolution. All you need to present this show is your computer and your operating system’s built-in slide show viewer. If you wish to show it to a larger audience you’ll want to use a digital projector or large monitor. Click on the specific slide show below to view the actual show in low-resolution, with the narrative on the bottom. 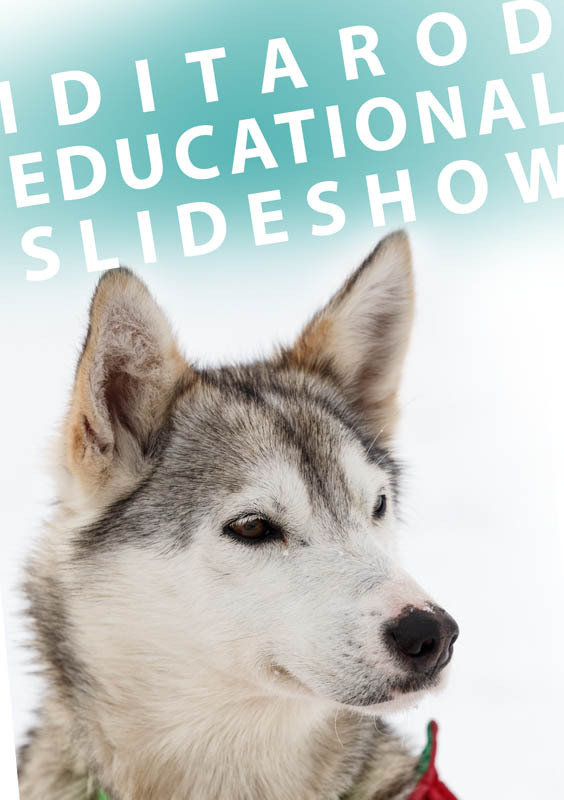 This is a comprehensive digital slide show that is perfect for teachers, mushers and race volunteers to educate an audience about the Iditarod race. The images are arranged in such a way that they tell the Iditarod story including the history of the trail, history of the race and all about the various trail conditions, checkpoints and many details a musher goes through before and during the race. All aspects are illustrated with these 89 photos. Included with the show is a written narrative on what the particular photo represents and then it’s up to you, the presenter, to embellish (or not) about the photo and the situation. It is expected that the presenter has a basic understanding of the Iditarod. When you’re done talking about a slide/situation you click to the next slide. This show is geared specifically toward the veterinarian and is a perfect way for veterinarians to educate an audience about the Iditarod race and about the work vets do on the race. The images are arranged in such a way that they tell the Iditarod story including the history of the trail, history of the race and all about the various trail conditions, checkpoints and many details a musher goes through before and during the race. All aspects are illustrated with these 300 photos. Included with the show is a written narrative on what the particular photo represents and then it’s up to you, the presenter, to embellish (or not) about the photo and the situation. It is expected that the presenter has a basic understanding of the Iditarod. When you’re done talking about a slide/situation you click to the next slide. It includes 300 images and shows all the checkpoints and the trail between each one.